The impact of Brexit on Ireland’s supply chain and potential border issues will be a prominent topic at this years National Manufacturing and Supply Chain Conference. The conference is the largest gathering of manufacturing and supply chain professionals in Ireland and will take place on the 31st January in the Citywest Convention Centre, Dublin. The annual event will welcome 3,000 manufacturing and supply chain industry professionals, 200 speakers and 170+ exhibitors. The National Manufacturing and Supply Chain Conference takes place as concern mounts about the prospect of a hard border between the Republic and Northern Ireland. The potential impact could have a significant impact on trade with the over 30,000 people who cross the border everyday facing disruption. According to the conference organiser Colin Murphy, the event presents a chance for the manufacturing and supply chain industry to discuss the likely challenges head on. 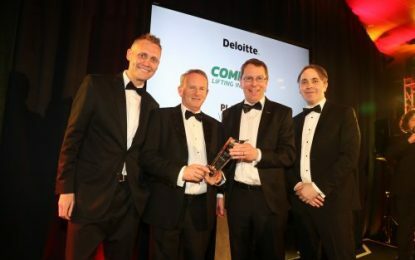 The 3,000 attendees at this years conference will include senior executives from across Ireland and the UK’s manufacturing and supply chain industries including Managing Directors, Finance Directors, Marketing Directors and Operations Directors from the largest manufacturers, supply chain management companies. Attendees will also be treated to a showcase of the latest technology driving innovation in the manufacturing sector along with new products, services and debates on the latest trends across 16 stages. Car maker Fiat is expected to showcase their award winning cars, the Alfa Romeo Giulia and Quadrifoglio. The two cars recently won best Best Medium car and Best Performance car at the Irish Car Awards respectively and will be available to exhibitors to view and interact with at the event. RS Components (RS), the global distributor for engineers, will also be exhibiting at the event with their new version of its mobile interactive technology truck, Titan 2. 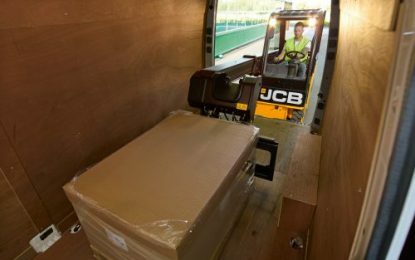 The new 35-tonne truck showcases technologies such as Raspberry Pi, 3D printing, robotics, the Internet of Things and thermal imaging and is also packed with the latest technology including demonstrations of virtual reality (VR) and augmented reality (AR) to really bring innovation to life. Sustainability will be another major theme at this years conference as Ireland’s largest manufacturers increasingly focus on improving energy efficiency and sustainable manufacturing practices to deliver environmentally friendly results. Main stage at the National Manufacturing and Supply Chain Conference is expected to see talks on the internet of things and the European economy, the digital reinvention of industry and factory floor operations while seminars spread out across the event will feature talks on smart factories, automation and industry 4.0. Other conferences of interest include: Wind Power Expo, Ocean and Hydropower Summit, National Procurement Summit and the Sustainable Energy Show.